"Doodle 4 Google" or D4G was just launched in the Philippines with the theme "What Can I Do For The Philippines?" by the search giant Google for student kids ages from 5 to 17. Participants are to create doodle using the official theme for the competition, and whoever wins will get the prizes and a chance to see his or her winning doodle piece on Google's homepage for 24 hours. If you are not familiar what a Google Doodle is, these are those special Google arts we see on the landing page when you go to Google.com. These doodles are based on a special occasion or person the world or local country is celebrating or honoring. 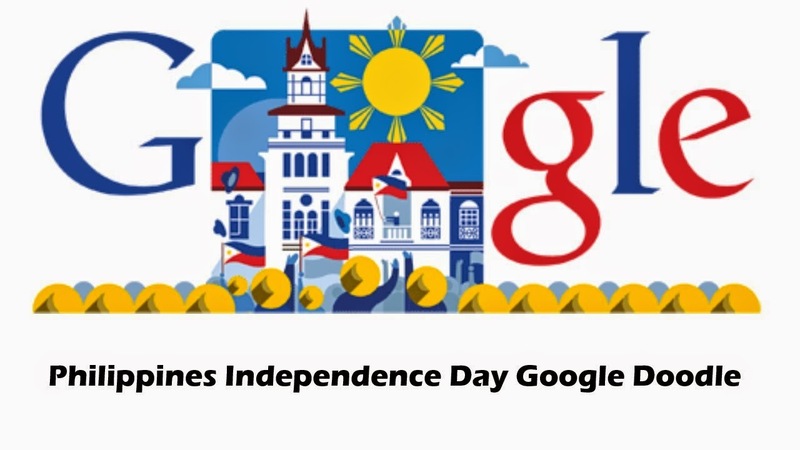 For example, the one I posted above, was exclusively displayed in the Philippine domain of Google on the Philippine Independence Day. You may Google's Doodle archive here. The whole competition will be divided into groups by age brackets and that would be 5-8, 9-11, 12-14, 15-17 years old. It is open to all Filipino kids who are currently studying and those who are not in formal schooling and all participants must be Filipino citizens and are living in the Philippines at the time or date of submission. “We look forward to inspiring the nation with a doodle that will not only reflect the beautiful synergy between art and technology, but also speak of the beautiful spirit of selflessness and service of the Filipino people through the eyes of our children,” said Ryan Morales, Country Marketing Manager for Google Philippines, in a statement. For those who want to join this contest, you can now send your entries online or via mail until September 19. For more information about this competition simply visit www.google.com.ph/doodle4google.